Van der Gragt was born in Heerhugowaard, The Netherlands on August 16, 1992. She started playing soccer at Reiger Boys, a club from her native country, before moving to another amateur organization, the Kolping Boys. In 2009, she began her professional career. After two seasons, Van der Gragt signed for Telstar until, in 2015, she joined Twente for a season. It was with this team that Van der Gragt faced Barça in the quarterfinals of the 2015/16 Champions League. She then made the leap to the Bundesliga with Bayern Munich. Finally, however, she returned to her country to sign with Ajax. In addition, the Dutch center back has made several national team appearances and won the 2017 European Championships. 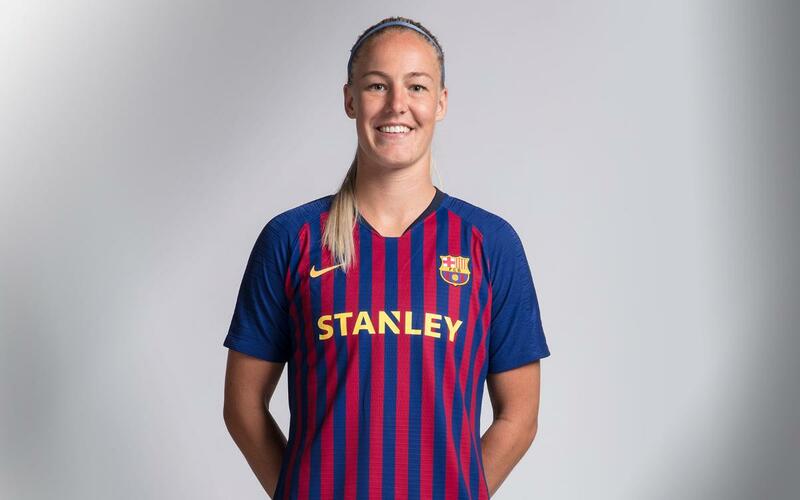 On June 4, 2018, she joined FC Barcelona. A tall center back (1.78m), good at making recoveries and carrying the ball up the field. Her aerial dominance is an asset on set pieces.